Following on the heels of Hideout's 'Songbird', we have decided to continue releasing singles from our "80s Investigation" compilation of covers by Japanese artists. 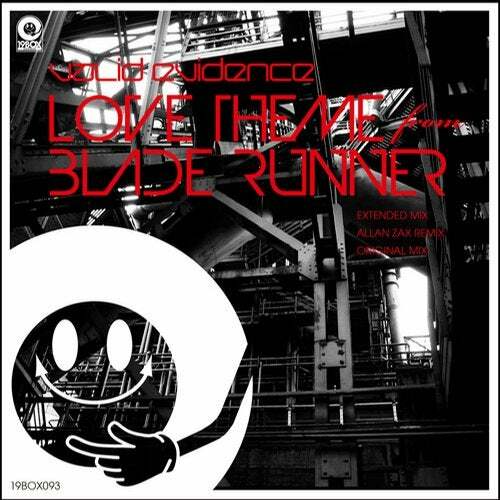 Valid Evidence aka DJ 19 & Yu-Ta have covered the revered Vangelis-penned 'Love Theme' from the movie B"lade Runner". It just so happens that this is DJ 19's favourite movie of all time that was scored by the legend that is Vangelis. We have provided you with the original mix, an extended version and a stellar Allan Zax remix as well. Allan Zax is Bulgarian electronic music producer, who has released tracks with several different aliases in a wide ranging number of different genres like progressive trance, drum n bass, deep house, chillout and others. Due to his father's influence growing up, Allan grew to love the sounds of Vangelis. That inspiration drives his remix and keeps the original vibe with the addition of an extra melody.